Sometimes you need an own Docker registry for testing purpose. Here a simple way to setup and use a private insecure registry. For production – don’t do that! 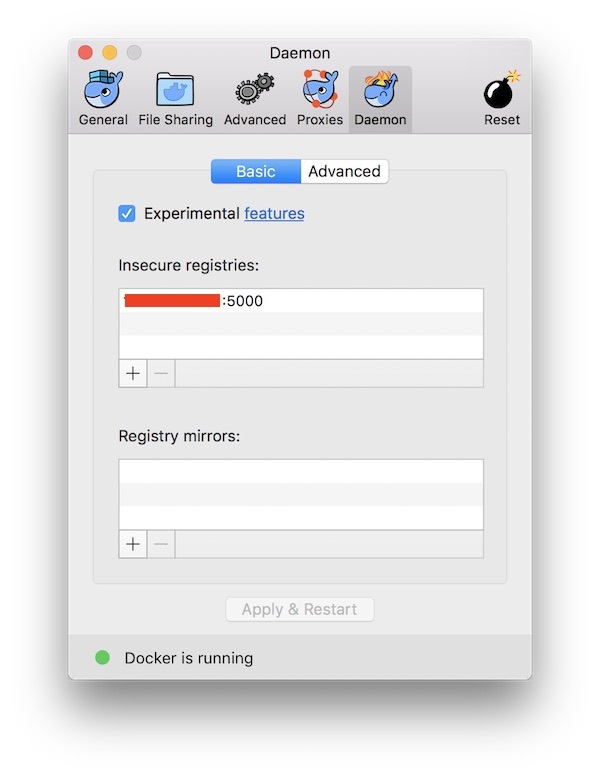 Start Docker for Mac and open “Preferences” – “Daemon”. Here just insert the IP plus specific port. When you are done press “Apply and Restart” button. Now build the image, tag the image and push to your private registry. $ docker build -t alpine/shellcheck . You can see the images stored on your registry. Therefor SSH into your dedicated server again.